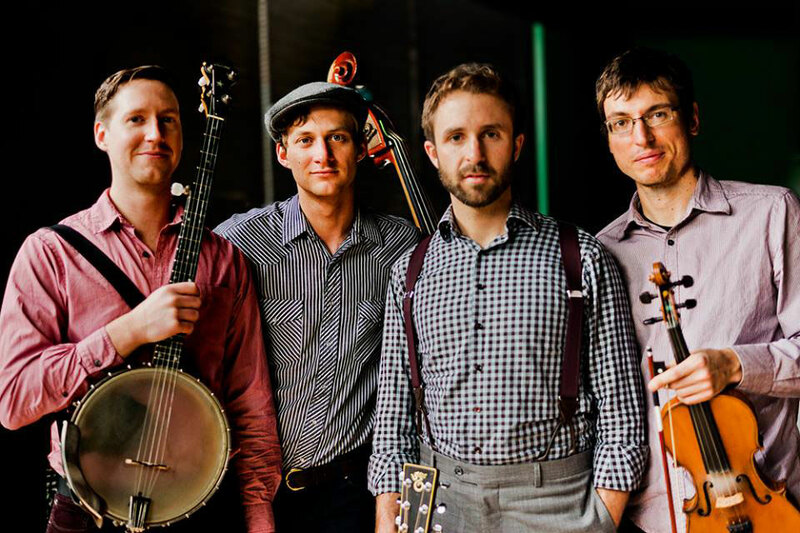 Ukrainian fusion folk. Social media shutterbugs. Hollywood starlets. Highbrow foot laundry. Who makes the tastiest taco? Where’s the loveliest lobsterboat tour? What is the one hike you just can’t skip? We logged the miles to bring you this handy, savvy, witty guide to our favorite Maine everything. 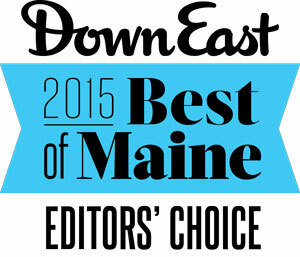 We’ve already covered the Best of Maine Food and Drink. Here’s another excerpt from the July issue, featuring this year’s editors’ choices for the Best of Maine Culture. Everyone likes a hometown girl done good, and lately, nobody’s done better — or seemed so ridiculously charming doing it — than Portland-bred Anna Kendrick. She’s cute. She’s witty and self-effacing in interviews. She’s uninhibited on social media (where she doesn’t get enough credit for also being thoughtful and subversive — or for having Portland Head Light as her Twitter header). And the girl has range. The 29-year-old Deering High grad sings and dances in popcorn flicks like Into the Woods and the Pitch Perfect films, and her turns in Up in the Air and last year’s criminally underappreciated Happy Christmas are subtle and emotionally complex. We’re quick to claim Kendrick as our own not because she’s famous, but because she’s good. Some of Maine’s most powerful recent storytelling. Monica Wood (an occasional Down East contributor) is one of Maine’s most gifted writers, so it’s no surprise her debut as a playwright this spring was Portland Stage’s bestselling show ever. Papermaker vividly renders small-town Maine during a Reagan-era paper mill strike, with sharp dialogue that recalls Death of a Salesman in its poignancy and moral ambiguity. In April, The Dance Hall in Kittery hosted Maine’s most compelling recent dance performance. Dancers in Dahlia Nayar’s 2125 Stanley Street gorgeously explore domesticity and notions of home using mops, laundry, and other domestic props in beautiful and unexpected ways (e.g., gracefully hanging socks on a clothesline with their feet). Nayar, of Massachusetts, completed the work in part during a Bates Dance Festival choreographer’s residency. 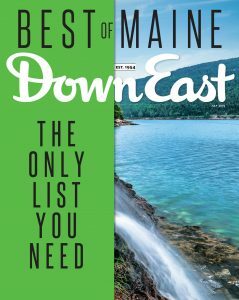 Buy this issue of Down East and get the full list of this year’s Best of Maine winners, in categories ranging from Food & Drink, Culture, and Lodging, to Family, Self, Community, and more!